Now entering its sixteenth year in Dripping Springs, Texas, Head To Toe Dance exists to offer quality dance instruction to children and adults in the Hill Country area. 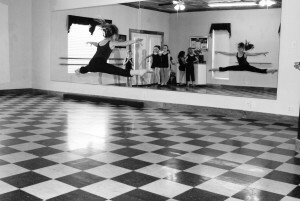 Currently offering classes in Ballet, Tap, Jazz, Contemporary, Hip Hop, Dance Team Prep, Modern, Pointe and Acro, Head to Toe is committed to broadening arts opportunities in Dripping Springs. Developmentally appropriate classes are available for children from 18 months to Senior Citizens and for the beginner to the most advanced levels. Director and owner, Anne Brown offers classes that both challenge and encourage dancers. Building self esteem, confidence and discipline is valued just as highly as skills such as flexibility and alignment. 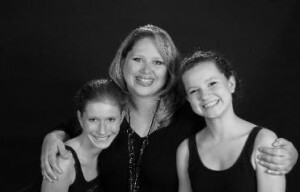 Ms. Anne has been teaching dance in the Central Texas area since 1988. She studied ballet, tap, jazz and modern as a child in Houston and then in Austin under Dianne Greg with the Next Generation Dance Company. Anne then majored in Music Education and completed her minor in Dance at Stephen F. Austin University in Nacogdoches and then at the University of Texas in Austin. Teaching drill team, dance, and acro has been a life long pursuit for Anne. In addition to being a busy mother of three, Anne is also currently the director of the award winning Head to Toe Dance Performance Company. In the first sixteen years of business, Head to Toe has offered classes for children 3 - 18, participated in numerous competitions, and presented wonderful Spring Recitals. Head to Toe Performance Company has taken groups of dancers to national dance convention and competitions in San Antonio, Houston and Dallas, Texas where they received many 1st and 2nd place trophies, as well as Platinum and Gold Awards. Head to Toe has performed at several community events including Founders Day Festival and Parade, Christmas on Mercer Street, Trail of Lights Festival, the Founders Day Parade, and the Jazz for New Orleans Benefit. Now entering its sixteenth year in Dripping Springs, Texas, Head To Toe Dance exists to offer quality dance instruction to children and adults in the Hill Country area. Director and owner, Anne Brown offers classes that both challenge and encourage dancers. Building self esteem, confidence and discipline is valued just as highly as skills such as flexibility and alignment. Ms. Anne has been teaching dance in the Central Texas area since 1988. She studied ballet, tap, jazz and modern as a child in Houston and then in Austin under Dianne Greg with the Next Generation Dance Company. Anne then majored in Music Education and completed her minor in Dance at Stephen F. Austin University in Nacogdoches and then at the University of Texas in Austin. 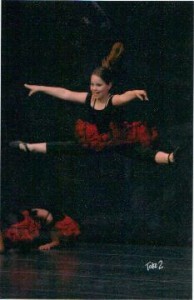 Teaching drill team, dance, and acro has been a life long pursuit for Anne. In addition to being a busy mother of three, Anne is also currently the director of the award winning Head to Toe Dance Performance Company. In the first sixteen years of business, Head to Toe has offered classes for children 3 – 18, participated in numerous competitions, and presented wonderful Spring Recitals. Head to Toe Performance Company has taken groups of dancers to national dance convention and competitions in San Antonio, Houston and Dallas, Texas where they received many 1st and 2nd place trophies, as well as Platinum and Gold Awards. Head to Toe has performed at several community events including Founders Day Festival and Parade, Christmas on Mercer Street, Trail of Lights Festival, the Founders Day Parade, and the Jazz for New Orleans Benefit.